Why Is A Property Maintenance Company’s Proposal So Cheap? With so many property maintenance companies in abundance that claim to offer similar services, the way to typically differentiate one from each other is their pitch. A property maintenance company will layout a budget or estimation of what they plan to do for a client, but these appraisals are usually loose approximations or plans that omit the quality of work. These budgets are usually on the lower end as an attempt to hook properties in. One may ask, how are they able to offer these cheap proposals and can they make good on their promises? An initial proposal from a property maintenance company is so cheap because typically: they lack insurance, under pay staff, or have less qualified staff. Another method is to initially propose an estimation, and then slowly bring it up as time goes on. This can’t really be debated, as an estimation is exactly that – a best guess of the work that needs to be done. At Green Side Up this is not the case whatsoever; we offer full disclosure and transparency is a quality we take pride in. We value our relationships with our clients and we know that an honest property maintenance company that doesn’t cut corners and communicates with you is the key to building a long lasting relationship. We have the proper insurance needed (add the insurance info), and have the best qualified staff in the business (add various awards). Green Side Up is also very realistic with our proposals and don’t try to take advantage of any potential vulnerable position you may be in. 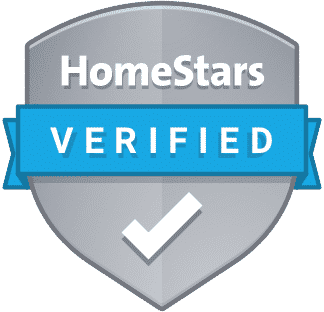 Green Side Up Contracting Inc Crowned 2019 HomeStars Best of Award Winner!